This year, I promised myself to travel and explore more. As much as I can, I squeeze my time with work during the weekdays and I make sure my weekends are well spent. 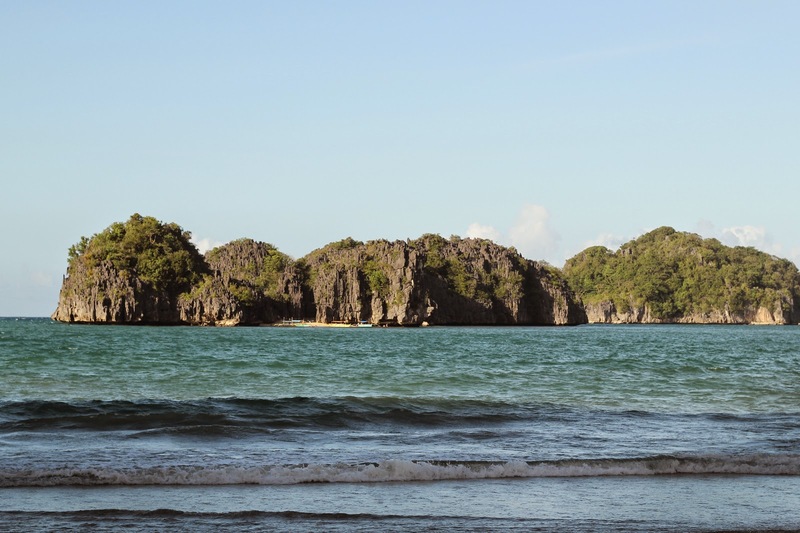 On top of my travel bucket list is to visit the renowned world-class tourist destination - Caramoan. This group of magnificent islands is well known for its lush and green forests, incredible limestone and rock formations (I was very amazed at how nature sculpted its breathtaking beauty), clear blue green to deep blue waters having rich aquatic life, white sand shores, and of course, it is known to be the location for Survivor. Experiencing firsthand the beauty of the island, I have no doubt why it has been chosen by CNNGo to be one of the 10 Best Islands and Beaches in the Philippines. 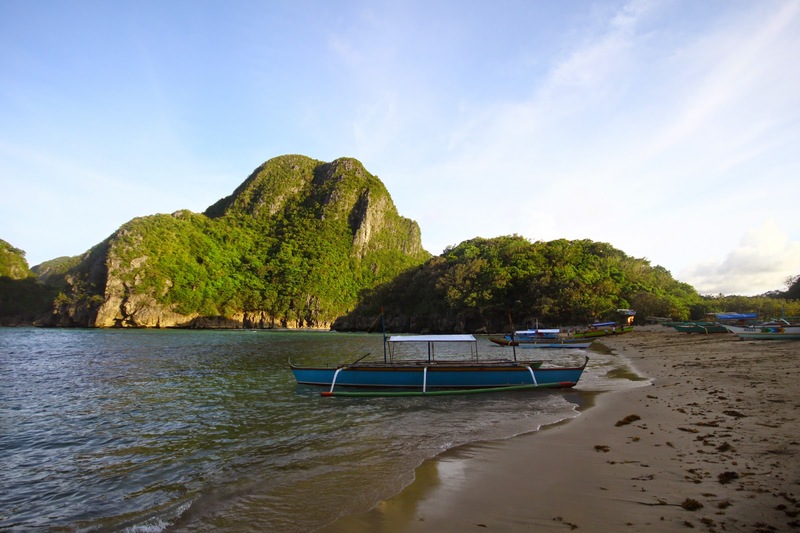 Located in the lower eastern part of Camarines Sur, there are two ways to get to Caramoan - by land and by water. If you are coming from Manila, take a bus trip going to Sabang Port in San Jose, Camarines Sur - this would cost around P800. It would take 8 hours tops of traveling so I suggest taking the evening trip to avoid heavy traffic. From Sabang port, board a passenger boat that goes to Guijalo Port in Caramoan; the travel time would be around 2 hours depending on sea conditions. 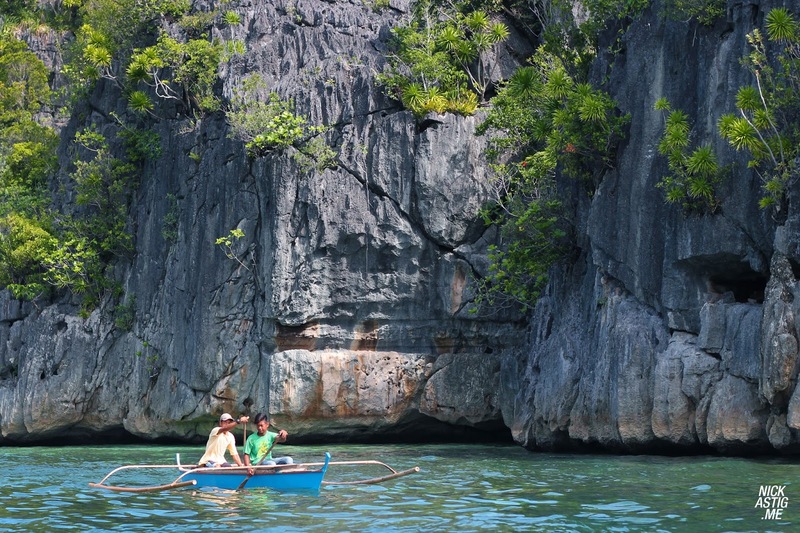 It would cost around P120; however, if you miss the last trip by 11AM, you can rent a boat around P2,500 - P3,000. Tourists coming from Naga can ride a passenger van bound for Sabang at the terminal located behind St. Joseph School. Van fare is around P100 per person and travel time would be around an hour and a half. From Sabang, follow the same steps as aforementioned. Travel Tip: Plan your trips in groups so that payments can be split and the cost will be cheaper. I also suggest getting a guide or driver (if you're planning to rent a van) who knows the place well and takes special care of the tourists - this could save a life (I should know because of our experience). 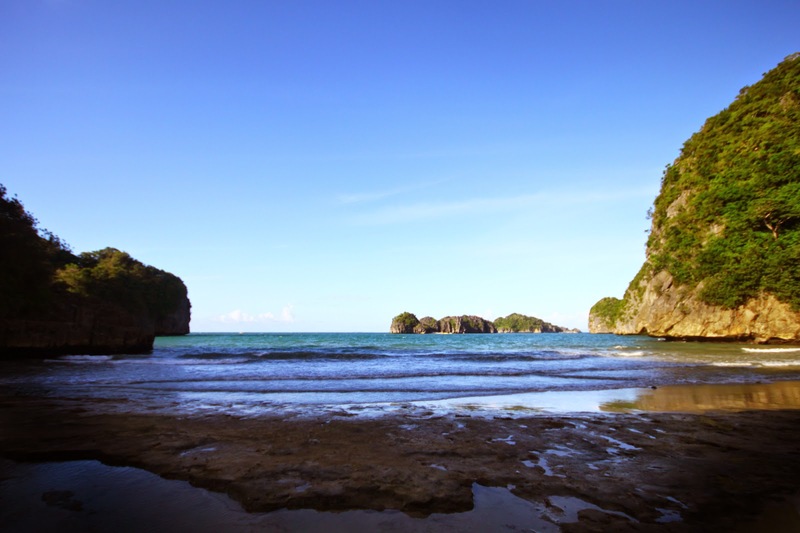 The long travel time will be worth it because you will be welcomed by the pristine beauty of Caramoan. 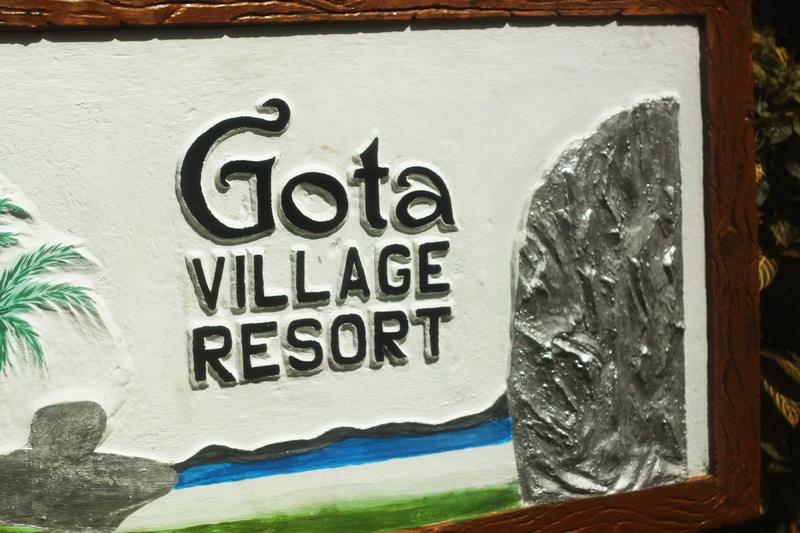 We got to stay at Gota Village Resort which is also the home of the people behind Survivor. 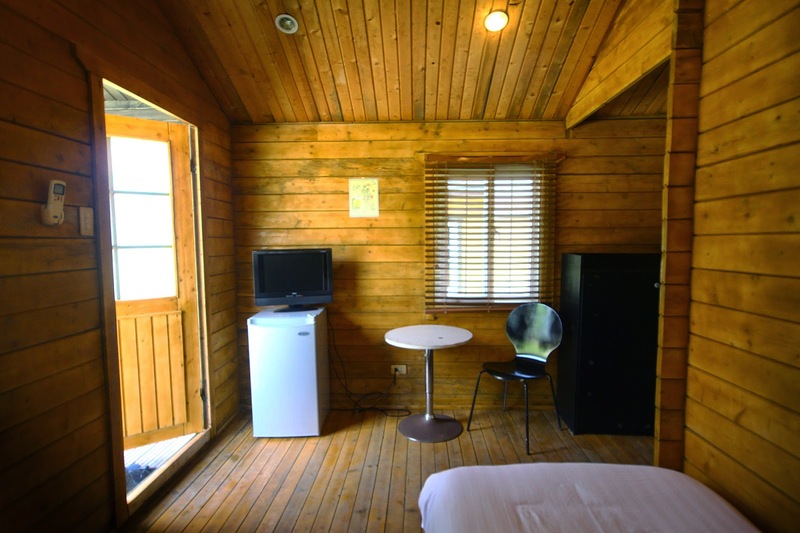 Just five kilometers away from the town proper, this world-class resort offers wooden comfy cabins equipped with pampering amenities. It could get a little pricey but of course it's because of the luxurious stay that you will experience here. 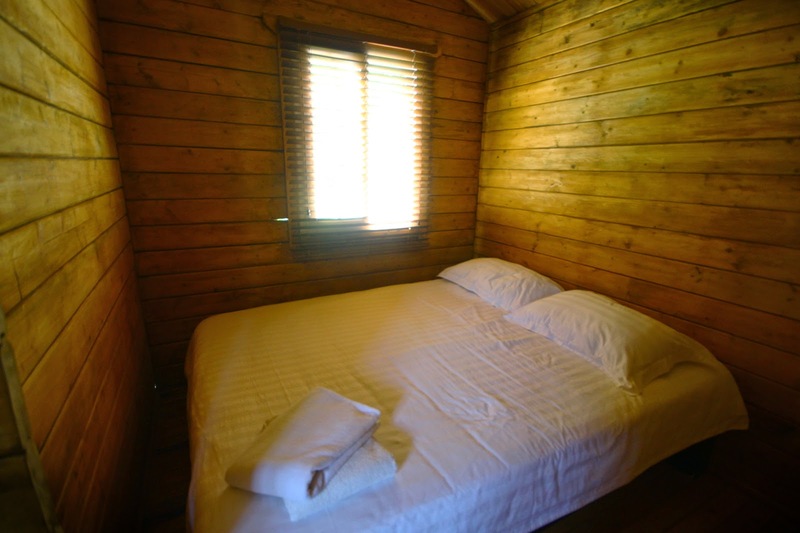 Includes: 1 queen sized bed, air conditioned room with TV and DVD player, private toilet bathroom with hot and cold shower. 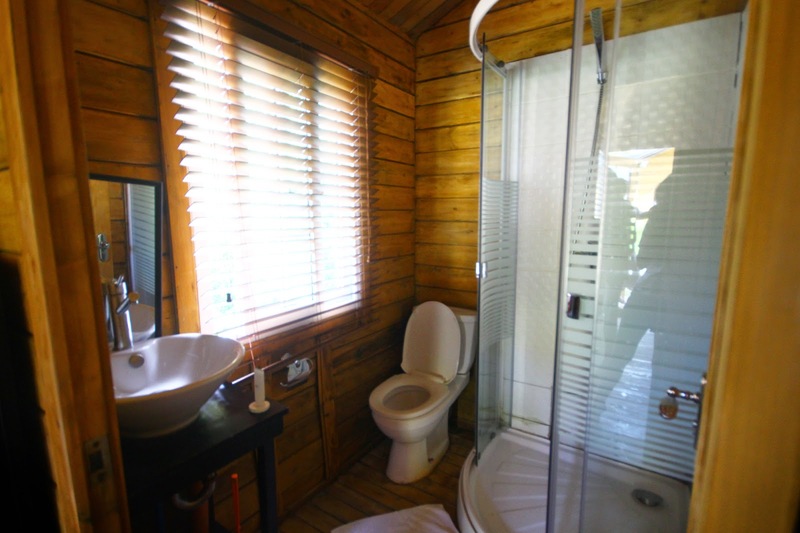 Includes: 1 queen sized bed, air conditioned room with TV and DVD player, private toilet bathroom with hot and cold shower, mini ref, receiving room and dining area. Travel Tip: If you would want to have an exclusive stay in Caramoan, you can also try Hunungan Cove which is just beside Gota Village. This would be perfect if you want to get away from the crowded beach during summertime. Accommodation rates are quite expensive though - ranging from P5,000/night (for the duplex) to P10,000 (for the presidential suite). 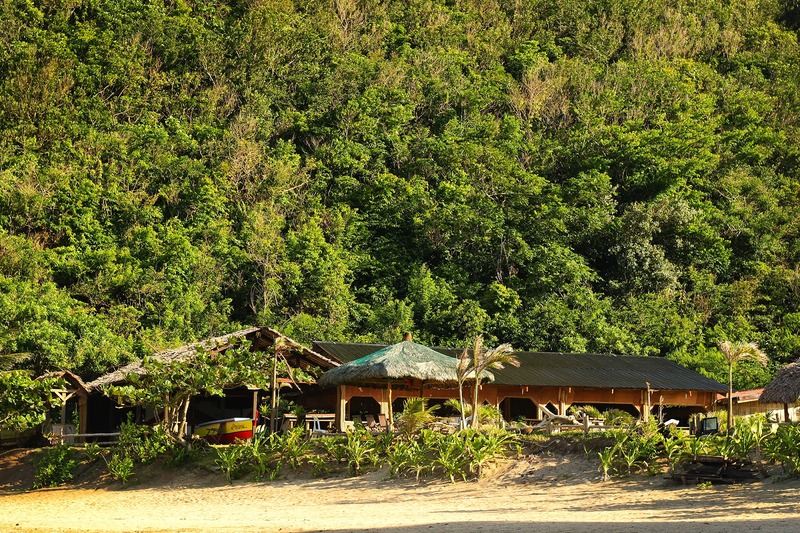 Gota Village Resort has a resto by the beachfront which serves all-time favorite dishes and Bicolano specialties. Serving sizes can be for sharing or a la carte ranging from P200 to P500. Travel Tip: Order your meals 30 minutes earlier - preparing time for the meals might take quite a while, so make sure you order beforehand and tell the staff what time you're coming for your meals. If you are on a tight budget and would just stay for a short time, you can pack your meals already. Foods are allowed in the cabins; however, they are not allowed by the beach front. 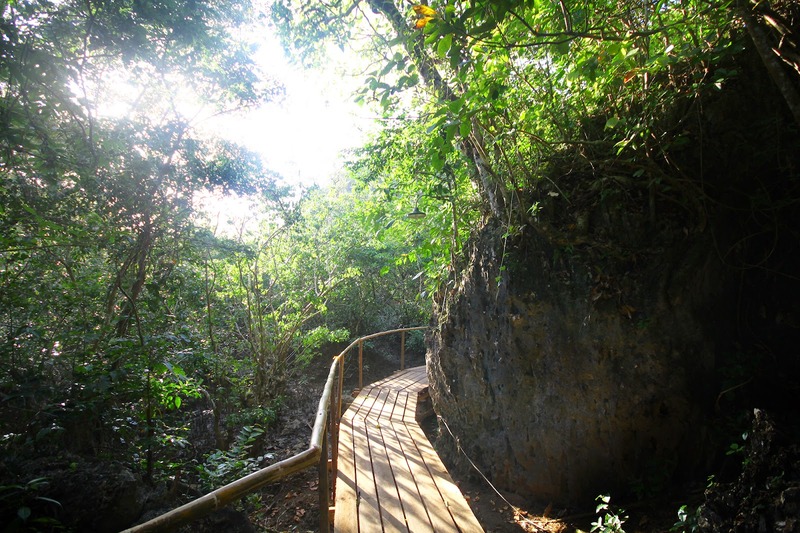 The resort is by itself a one-package tour already, it offers extreme activities such as river trekking to Umang Cave (P500/person), river tubing to Mandiklum Cave (P700/person), mountain trekking/rappelling (P300/P500), intro to rock climbing (P700/person) and spelunking (P500/person). It also offers marine activities such as island hopping (ranges from P2,200 - P5,000 depending on the number of islands to visit), kayaking (P500), cliff diving (P150/P300) and snorkeling (P150/person). All of these already include the equipment rental for each activity. You will definitely not run out of fun things to do during your stay. We went island hopping during our second day at the resort. We went to the nearest islands around Gota Beach: Cagbalinad, Lahos, Matukad and Busdak. 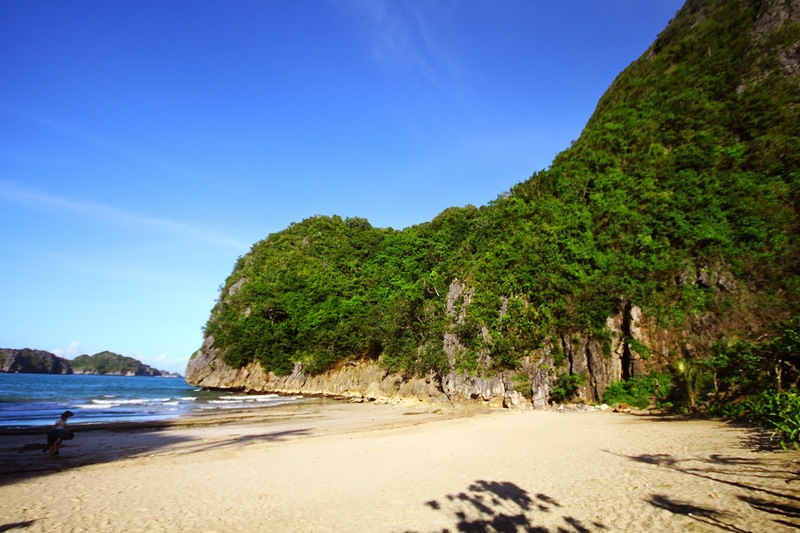 Caramoan is well-known for the group of islands that you can visit. Each one of them has its unique beauty. Lahos and Matukad Island have fine white sand and are the frequently visited ones by the tourists. 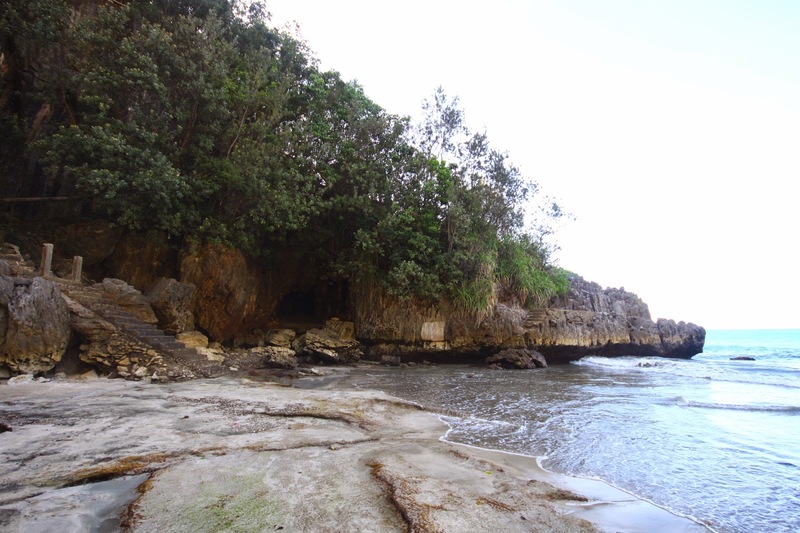 You should check out the enchanted lagoon on top of Matukad Island (didn't try it though because I went for a swim), they say it has a mystery legend behind it. Travel Tip: If you're looking for cheaper rates for your island hopping, you can bargain your price at the other side of Gota Beach. The wooden bridge above will lead you to the jump-off point for island hopping. You can rent a boat ranging from P1,500 - P2,000 depending on the number of passengers and the number of islands to visit. You can try haggling with the boatman - use your charm! Haha. What's good about this is that they provide life jackets and they really keep an eye on the guests' personal stuff. 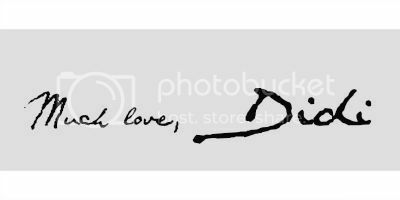 You can also check out their Facebook Page and their website for more details. 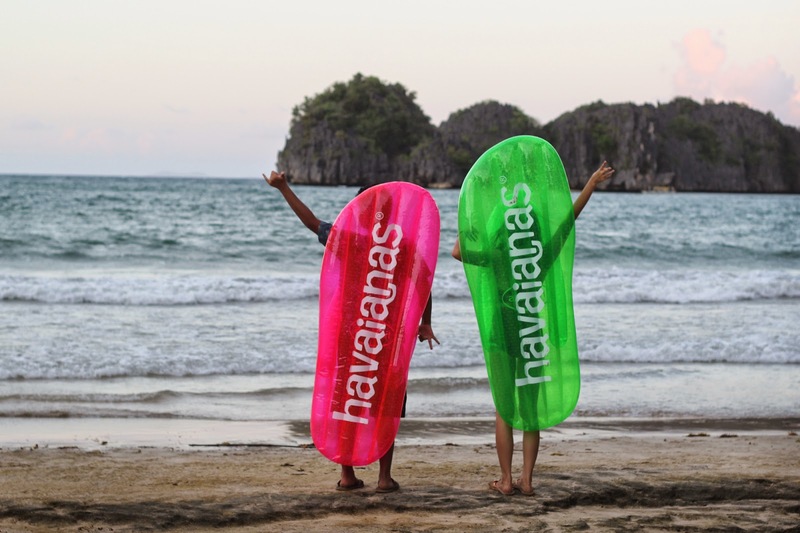 For now you can follow our Caramoan adventures through the hashtag #GottaLoveCamSur. All of our snippets are posted on Instagram. My Instagram account appear to be very bitchy lately - oh I mean beachy! (•‿•) You can also check out and follow our beach gang: (L-R) Marky, Ivy, Jamie, Kim, Yvette, Fen, Ralp and Nick who's always behind the camera. Thank you very much Governor Migz Villafuerte for having us! Credits toNick Pahati and Caramoan Islands Website for the photos.